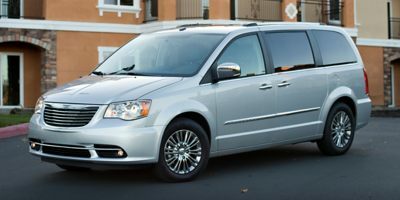 2016 Chrysler Town & Country, key features include: Steering Wheel Audio Controls, Cross Traffic Alerts, Heated Mirrors, Keyless Start, Blind Spot Monitoring, a Heated Passenger Seat, a Back-Up Camera, Push Button Start, Satellite Radio, a Rain Sensing Windshield Wipers, a Heated Rear Seats, Multi-zone Climate Control, Rear Heat / AC, a Roof / Luggage Rack, a Power Tilt/Sliding Sunroof, Aluminum Wheels, Electronic Stability Control, Power Windows, Side Mirror Turn Signals, an Entertainment / DVD Package, Keyless Entry, Fog Lights, Heated Seats, a Power Lift Tailgate, Remote Engine Start, Leather Seat Trim, Automatic Climate Control, Rear Parking Aid, a Third Row Seat, Heated Steering Wheel, an Auxiliary Audio Input, a Electronic Messaging Assistance, Integrated Turn Signal Mirrors, an Anti Theft System, a Leather Wrapped Steering Wheel, Power Locks, Traction Control, a Power Drivers Seat, Steering Wheel Controls, Wood Trim, Daytime Running Lights, Front Wheel Drive, Brake Assist, Power Mirrors, Quad Bucket Seats, a Rear Head Air Bag, a Garage Door Opener, an Auto Transmission with Manual Mode, a Drivers Air Bag, a Third Passenger Door, Flexible Fuel Capability, an MP3 Compatible Radio, Bucket Seats, Air Conditioning, an Adjustable Steering Wheel, Cruise Control, Knee AirBag, Privacy Glass, Anti-Lock Brakes, Digital Media Storage, a Power Fourth Passenger Door, a Power Passenger Seat, a Driver Illuminated Vanity Mirror, Bluetooth Connection, a Tire Pressure Monitoring System, a Fourth Passenger Door, Tinted Glass, Disc Brakes, an Auto Headlamp, a Single-Disc CD Player, a Front Head Air Bag, a Passenger Air Bag Sensor, a Front Side Air Bags, Intermittent Wipers, an Auto Dimming R/V Mirror, Child Proof Locks, a Passenger Illuminated Visor Mirror, Remote Trunk Release, a Spoiler / Ground Effects, Variable Speed Intermittent Wipers, a Trip Computer, a Rear Window Defroster, Power Steering, a Passenger Air Bag, a Tilt Steering Wheel, and Vanity Mirrors. This 2016 Chrysler Town & Country Touring-L Anniversary Edition, Stock number 19377 features a White exterior and has 16,290 miles. Factory equipped with an impressive engine, and transmission. Contact us today to schedule a test drive of this 2016 Chrysler Town & Country Touring-L Anniversary Edition! Or stop in at 1200 East State Road 44 Shelbyville, IN to check it out in person!